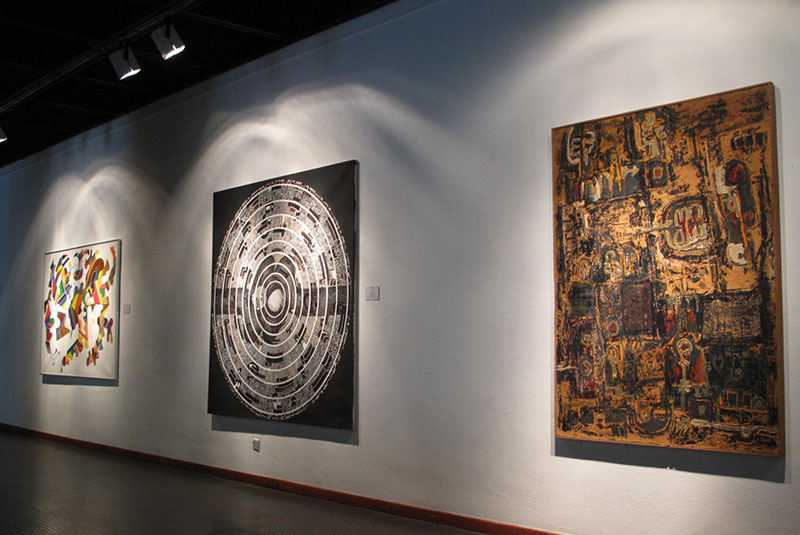 Tehran as the capital city of Iran is home to numbers of museums especially the national ones. Tehran Museum of Contemporary Art is one of those. The museum is located on the western side of Laleh Park in a concrete modern building, which is surrounded by different types and models of sculptures. An impressive collection by Picasso, Matisse, Van Gogh, Miró, Dalí, Bacon, Pollock, Monet, Munch, Moore and Warhol, among many others exhibits at the museum, but not temporarily. In this article, we are going to talk about this spectacular museum in detail. Tehran Museum of Contemporary Art was established by Empress Farah Pahlavi in 1977, which is one of the biggest museums in Iran. There is a collection of approximately 3,000 items of paintings, prints, drawings, and sculptures display at the museum. There are world-class European and American items from 19th and 20th centuries at the museum. The architecture of building is also magnificent which was designed by Kamran Diba who is a famous Iranian artist. He designed the building by taking into consideration traditional Persian architecture, philosophical concepts, and modern elements. If you are interested in fields of architecture, design, visual relation, photography, and cinema industry, the library of the museum with more than thousands of Iranian and international books is a great place for you. The idea of establishing this museum came to consideration when Farah Pahlavi was talking to Iran Darroudi, a contemporary Iranian artist in the 1970s at a gallery opening. From the first days of designing this building, the museum was supposed to exhibit artworks of Iranian and international artists. Kamran Diba was the designer of the museum, which can be considered as an example of contemporary art itself. The selection of artworks done by Farah Pahlavi, two Americans, Donna Stein and David Galloway, Kamran Diba, the architect, and director of the museum, and Karimpasha Bahadori, who was the chief of staff of the cabinet. The budget was allocated by the National Iranian Oil Company. It is believed that the collection with approximately £2.5 billion worth is the most valuable collection of Western modern art outside Europe and the United States.